The best group of products for a quick and thorough interior detail! Tornador Complete Cleaning Kit combines some of the best interior cleaning products with the leader in interior cleaning tools – the Tornador Black Car Cleaning Gun and the Tornador Velocity-Vac. Easily remove stains from upholstery, interior plastic and rubber, leather, and all other interior surfaces with McKee’s 37 Hi-Intensity APC Plus combined with the cleaning power of the Tornador Black. You’ll wonder how you ever detailed interior surfaces before using the Tornador Complete Cleaning Kit! McKee's 37 Hi-Intensity APC Plus provides all the premium characteristics of a high-end all purpose cleaner at a much lower price. Formulated for the detail shop that uses APC like a race car uses gas, Hi-Intensity APC Plus is a versatile, cost-effective all purpose cleaner that you can rely on to clean almost every automotive surface. The Z-020 Tornador Black produces enormous power with a very small air compressor. All you need is a compressor with a discharge rate of at least 270 l per minute (4.5 cfm). This can be achieved using compressors with a reservoir of as little as 13 gallon capacity. Use McKee's 37 Hi-Intensity All Purpose Cleaner Plus to clean virtually any automotive surface! Hi-Intensity All Purpose Cleaner Plus cleans vinyl and plastic interior surfaces, carpet and upholstery, tires, engines, leather, clear and colored plastics, and glass. McKee's 37 Hi-Intensity All Purpose Cleaner Plus can be diluted to tackle any job; one gallon of APC will make up to 11 gallons of ready-to-use all purpose cleaner! McKee's 37 Hi-Intensity All Purpose Cleaner Plus makes it possible to clean every surface with a single product. The Z-020 Tornador Black has newly developed rotational technology inside the funnel to provide faster, more powerful cleaning compared to the Tornador Classic. Professional detailers will love the speed and effectiveness of the Tornador Black. The new design reduces wear and ensures a longer life and superior performance. The ZV-200 Tornador Velocity-Vac is the newest addition to the detailing world from manufacturer Tornador. Designed to work with the supercharged Tornador Z-020 Black and a wet/dry vacuum, the Tornador Velocity-Vac totally expands the capabilities of your Tornador Black. With a few easy installation steps, your Tornador Black is now ready to tackle even the filthiest interiors. The all-in-one cleaning tool is just what you’ve been waiting for! This microfiber towel is spun from an 80/20 polyester/polyamide blend, producing a highly refined microfiber. 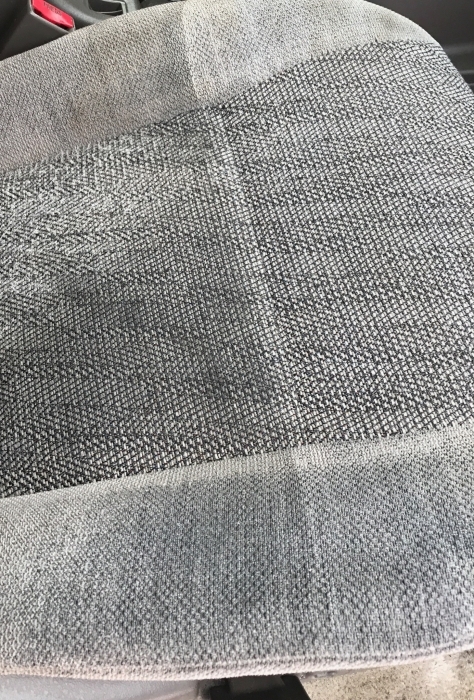 The microscopic polyester/polyamide fibers are split with a unique process that creates a “feathered” weave on one side for buffing and looped fibers on the other side, which are excellent for cleaning. This superior “feather” weave results in far greater absorption properties in a virtually lint free network of fibers. McKee's 37 Turbo Car Dryer New & Improved! Before I knew it ... it was clean ... carpet too. Got the best price at audiogeeks and there local. Works well easy to use and effective. Easy cleaning after use and great to use with a good vacuum. Pleased with this item. Easy to use and deep cleans. ConsGet the correct compressor. I already had a pancake style. Works but tank empties fast. People who advertise about car wash introduced this. To be really honest, It was all a lie. I do not know what they got from the company. There was no such thing as the worst. It is too stupid to buy a product by hundreds of dollars that is hard to remove small stain. And you donï¿½â‚¬â"¢t have not enough compressors (16 gallons is too small). Cleaning the seats or mats with this tool is much worse than washer pressure. Wiping the dashboard and cup holder with regular spray is much better. I'll prove my experience by photo and video how terrible the product is. I will obtain an ultraviolet sterilizer and prove that this product is not effective at all. please, avoid this tool ! Autogeek and Tornado never care of your regret. The tornador with the velocity vac and Mckees All purpose cleaner work as welll as an extractor without the extractor price. On the picture I attached the left side is untreated and the right side is with the tornador.